Pre release for new regamebox distribution. Back up your old version or use a new sd card to keep your current setup. Report issue in short description, best with pics. New feature Toggle history list. History will be shown or not shown. New feature Toggle favourites list. Favourites will be shown or not shown. New feature Toggle Themes. Themes menu will be shown or not shown. New feature show log. Shows last 100 lines of log. Navigate with P1 Stick and quit for exit. New Feature Flip screen. Works on both orientations horizontal and vertical. Advame can flip on horizontal screen via config file advmame.rc. New gamelists for arcade and fba emulators. Gamelist now supports the current romsets for advame (6000 games plus) and lr-fbaalpha ( 5000 games plus). New Feature Vertical Game support for all arcade emulators and lr-fbaalpha. New snaps for options. All options have now a snap with a short description what they do. New Feature highres mode. 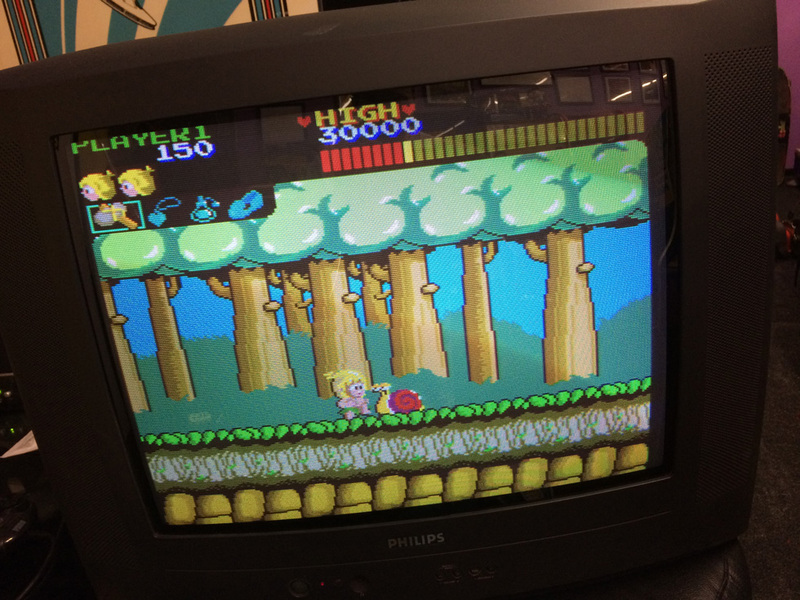 This mode allows now to use regamebox edition in bartop systems with LCD. added retroarch, vice, mednafen to import and export configs. I was afraid to spend hours and hours doc reading to make all that stuff working... and ... finally NOT AT ALL. It's as easy as your ABC! It's so smoothhhhhh Pictures don't do justice... display looks amazing! And the emulation is reallllly good! I'll definitively use this setup to replace old computer or these crappy x in one chinese boards! 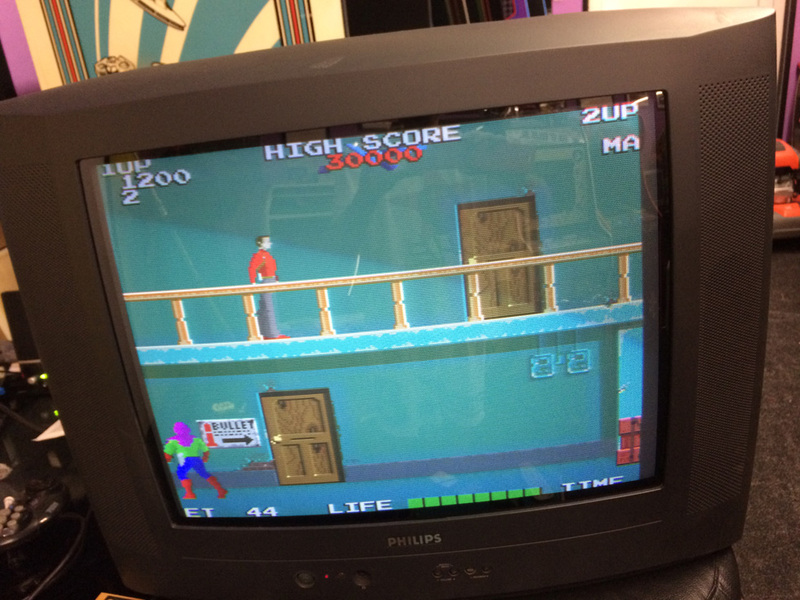 Thank Jochen for providing me the Pi2Scart adapter, which does a fantastic job (picture is brighter with it). Oh, and I can't remove the front end music (can't find anything related to the sound in the option menu?). How to remove it ? Finally will it be possible to configure the software to load one game only and disable the escape button? Thx again for this amazing product! Thanks for your review and sorry for the late reply. Issue 1 : software expects the pi2jamma joystick. Just turn on the pi2scart mode to turn off the pi2jamma joystick in the software. Issue 2 : the music is placed on the usb stick in folder menu-audio. Replace or delete this files. New version has additionally the features toggle music on / off and set volume. Issue 3 : option - lock game or unlock game for disabling or enabling escape from game. My intent is to use the Retropie image on it (specifically the 'already-prepared' v0.8.1 image on strike-devices.net). 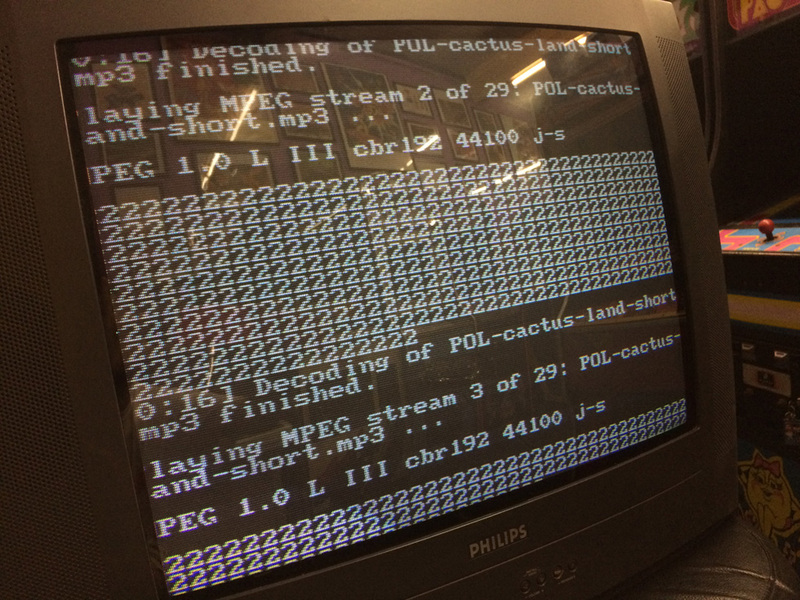 I do have a question on that image - is it also configured to try to find ROMS on a USB stick, or is this configured like the 'regular' Retropie at ~/RetroPie/roms/? its regular with roms on card. B6 is wired via extra screw terminals. I finally got my Pi2JAMMA installed today (took a few months to sort out some other things). - The Emulation Station menu seems to work well (at what I guess is 240p on my arcade monitor?) but when I launch any arcade game (I am using lr-mame-2003) it seems like the X-axis is scaled about 4x and the y-axis is scaled approx 2x (I attached 2 screenshots below). I have been scratching around in the RetroArch settings, but doesn't seem to make a change.